The commuter motorcycle segment is more complicated than you can imagine. There are several sub segments within the segment. There are entry level commuters, mid-level commuters and even premium commuters. It is Bajaj's plan to have a motorcycle that suits every sub-segment in this segment and the Discover 100M is a step in that direction. The Discover is Bajaj's brand of commuter motorcycles and since the brand was introduced in 2004, the number of motorcycles have grown to include the Discover 100, the Discover 100T, the Discover 125, the Discover 125T, the Discover 125ST and now the Discover 100M. At first glance, the 100M looks pretty much the as the other new Discovers. Muscular tank design, twin pilot lamps on the front fairing, aluminium cast sidesteps and other bells and whistles. The 'spider-web' alloy wheels also make it onto the motorcycle as a standard fitment. The 100M gets electric start as standard and a front disc brake as an option. Like most of the new Discovers, the 100M too uses a 4-valve, DTSi engine. 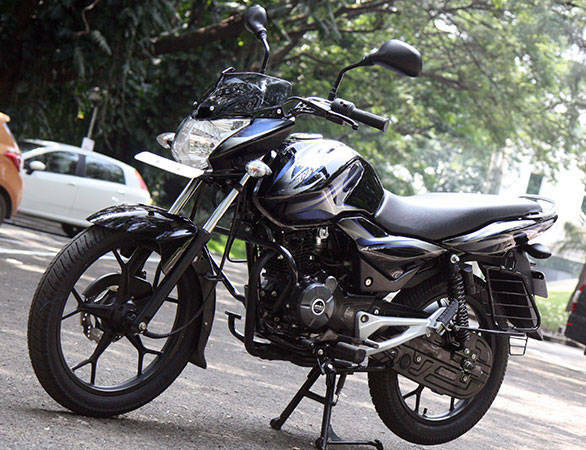 Bajaj says that it is a first in the sub-segment. The 102cc engine makes 9.3PS at 8000rpm and 9.02Nm at 6000rpm. This is a tad lower than what the 100T makes. The drop in power is due to reworked valvetrain and minor internal changes. 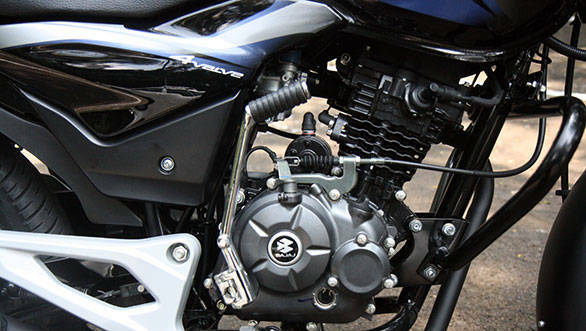 Bajaj says that the changes to the engine have helped in creating a flatter torque curve. This is quite evident as the engine pulls steadily even from low revs without any bumps or spikes. Also, thanks to the reworked engine, claimed mileage has gone up to between 70 and 75kmpl. The 100M uses a 4-speed gearbox and claims a top speed of 95kmph. 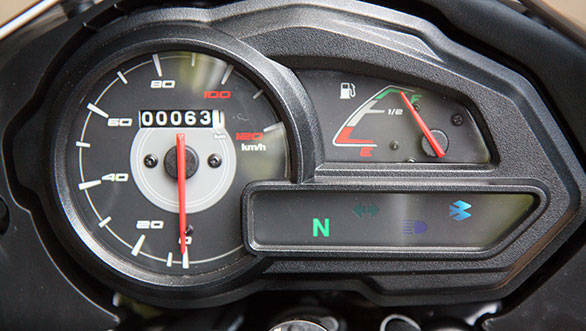 Bajaj says that the Discover 100M is built on an all-new platform. The only change we can see so far to the chassis is that the wheelbase has come down to 1255mm from the 1305mm of the other Discovers. This does make the bike a bit more flickable and direction changes are quick without it becoming unsettled. The ride too is reasonable but a bit on the stiff side. And unlike the hydraulic units on similar motorcycles, the 100M uses gas charged Nitrox shockers at the rear. The tyres are Eurogrip and aren't something to write home about. As are the brakes. The Endurance units aren't the best in the business and feel a bit like they are made to a price. The quality of plastics too are not that great. 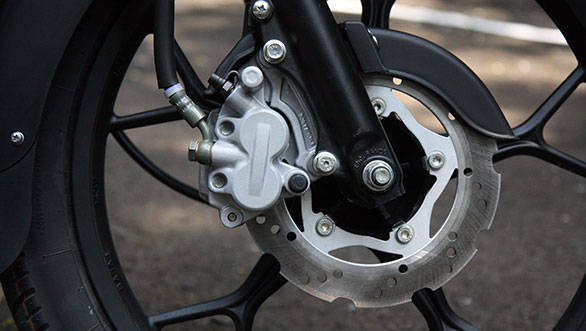 At Rs 46,000 for the drum brake version and Rs 49,000 for the disc brake variant, what the Discover 100M does is offer a good value proposition. Hero themselves have only three products that are below that price bracket and they have gotten a bit long in the tooth. They still use pretty much the same engine that have been running for ages and don't feature many of the fancy bits that the Discover boasts of. Whether the commuter space is getting crowded or not, it is hard to deny that the Discover 100M makes a good case for itself. The fact that on Dussera alone 350 units flew out of Bajaj showrooms in a single day alone is testament to that fact.